The British Ryushin JuJitsu Association was formed in 2012, but the main founders and owners have over 30 years experience in martial arts and have 25 years of instructing experience. British Ryushin have over 200 members and we are growing every day, we have male & female instructors who all have CRB clearance and Insurance. British Ryushin was originally formed from RYU ju jitsu clubs who have an excellent credentials in reputation and competitions with a overhaul of 270 medals in the last 10 competitions. 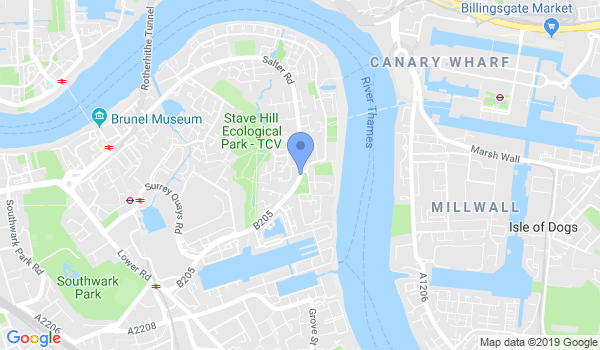 Our Sunday Class is held at the Rotherhithe Docklands Settlements Center; a short walk from Canada Water, Rotherhithe and Surrey Quays station. The Center has road side parking and bus routes which operate along Salter Road. The Sunday class is open for all ages from 7 years and up and to anybody wanting to practice Jujitsu. We welcome compete novices as well as the more advanced practitioner. We combine fitness and Jujitsu techniques for a rounded session which anybody can participate in. Would you like more information on hours, classes and programs available at Ryushin Jujitsu Surrey Quays? Please contact the school with your questions. Update the details, Write a Review or Report Error of Ryushin Jujitsu Surrey Quays.